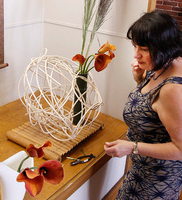 Ikebana is an art where living flowers and the spirit of the person arranging them are united to create beauty and form. 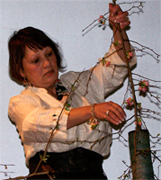 Enrich your life with Ikebana by creating your own arrangements in class! Classes consist of a two-hour session per week for four weeks. Using flowers to communicate with the beauty and the spiritual side of nature remains one of the most interesting aspects of Japanese culture, and continues to grow in popularity around the world. For workshops the cost includes all materials and is billed based on the size of the group. Demonstrations are available on request.